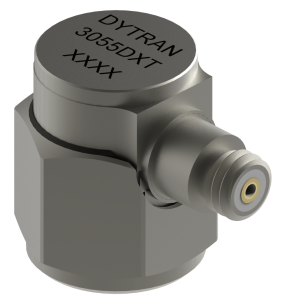 Dytran Instruments offer a range of accelerometers, mainly with integrated IEPE electronics, for general purpose, shock, seismic and triaxial applications. 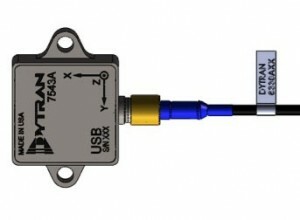 Charge output sensors are generally used for higher temperature environments. Many different mounting, cable and signal conditioning options are available. Techni Measure will be happy to help you select the correct sensor for your application, please contact us to request any further information. Dytran Instruments offers a wide range of rugged industrial accelerometers, cables and accessories for monitoring machine and process vibration in hostile environments. With all-welded, case isolated, stainless steel housings and hermetically sealed connectors, these sensors offer stable measurements over a wide range of frequencies. Mainly used for condition monitoring where, for instance, bearing vibration needs to be permanently or periodically monitored, these sensors are available with standard mV/g outputs. For more details please request the Dytran Industrial sensor catalogue. Also available from Hansford Sensors is a range of lower cost sensors including 4-20mA output types, and ATEX approved models. Techni Measure have a considerable experience of the challenge of vibration monitoring in an industrial environment and we will be happy to visit your site to give you first hand advice on selection of the most appropriate sensor and system for your application. Dytran Instruments offers capacitive MEMS accelerometers for DC, static and low frequency acceleration applications, as well as an exciting new range of Extended Low Frequency (ELF) accelerometers that combine capacitive MEMS and piezoelectric technologies to give a frequency response of 0Hz to 10kHz from a single sensor. TML have a range of DC accelerometers that employ strain gauges mounted on mass loaded cantilever beams. Single axis, biaxial and triaxial versions are available. Please request details on DC and low frequency accelerometers. Techni Measure can supply a range of signal conditioning electronics and IEPE power supplies, as well as cost effective data acquisition systems to complete your measurement solution. We will be happy to discuss your requirements.